Astro recently released a new version of their flagship A50 wireless gaming headset. This model works with both PC and consoles, and even comes with a magnetic charging dock. 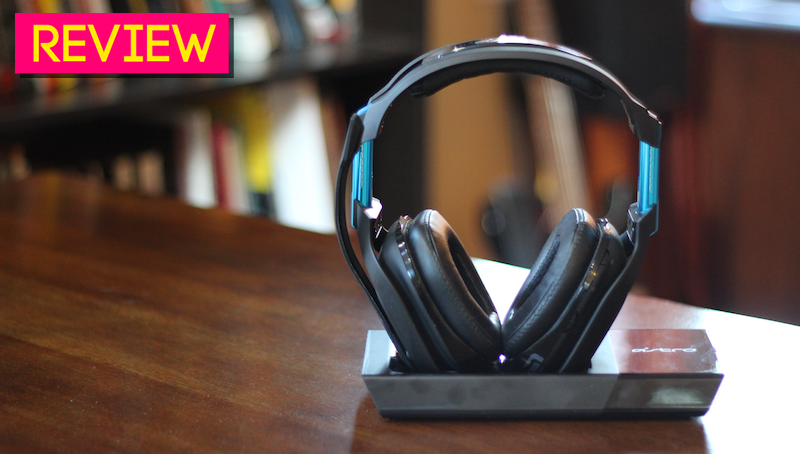 It’s a solid headset overall, and offers some significant improvements on its already good predecessor. It’s also got a few niggling flaws. Astro is a pretty well-known gaming brand—their headsets are popular with pro gamers and streamers, and turn up at conventions and fan events around the world. I generally like their stuff, and their wired A40 and first generation wireless A50 headsets have been mainstays in my gaming setups for years. Astro recently sent me a PS4 edition of the newest A50 to review, and I’ve been putting it through its paces for the last several weeks. Let’s get into it. The new A50 will run you $300, same as previous versions. It comes in two editions, a blue-highlighted PlayStation 4 model and a green-highlighted Xbox One model. That distinction is drawn based on which console’s wireless chat protocol the headset will work with—the PS4 headset won’t let you chat on an Xbox One, and vice versa. The two models are otherwise the same. Both versions also work with PC, meaning you can get USB surround sound out of your Windows PC—you don’t have to use an optical cable or a sound card. The Dock from the back. Aux and optical input, optical passthrough, USB connection. Headset charging cradle is on top. The dock from the side. USB output for charging the headset while wearing it, and a toggle for console and PC. The A50 comes with a docking station that acts as a charger and wireless transmitter. The base station has inputs for optical audio, as well as optical passthrough and a 1/8” aux input in case you want to plug in another audio source. It’s got a magnetic cradle on top that charges the headset without requiring you to plug in any cables, though the system also comes with a USB output in case you need to charge your headset while while wearing it. A switch on the side lets you toggle between your console and your PC, depending on which system you’re using. The headset itself has a three-way EQ switch on the right earcup that lets you toggle between EQ settings that you can customize using an included PC app. There’s also a power switch and a Dolby button for hopping between stereo and surround sound. The right earcup exterior is a large rocker that you can use to adjust the game/chat audio balance, and there’s a volume knob located on the bottom of the cup. A chat microphone is attached to the left earcup and will automatically mute itself if you swing it all the way up. Very handy for mid-game sneezes. Great base station. I’m a fan of the A50’s new base station. I always hated fiddling with the mini-USB plug in order to keep the older models charged, and the magnets on the new dock make it easy to stick the headset onto the charge contacts. I also value having a clear battery readout that I can easily check, as opposed to simply waiting for the headset to bleep at me when it’s running low. (Nothing like being in the middle of a crazy raid fight in Destiny and having to hurriedly plug in your headset while staying alive.) The base station is a bit lighter than I was expecting, and could’ve had a heavier metal base to help it stay put. But overall, it’s a significant quality of life improvement over previous A50 models. Sounds good. The speakers in the A50 produce nice, full-bodied audio that works well for gaming. The surround sound is kind of woody, even with the EQ adjusted to cut low-mids and boost high frequencies. It’s clearer running in stereo mode with surround turned off, but even then this headset wouldn’t be my first choice for listening to music. Fortunately, I found that slight EQ thickness worked well for games. Convincing surround sound. Astro’s take on Dolby headphone surround presents a nicely unified 360-degree sound field when compared with some other surround-sound headphones. There’s a good blend—I can’t isolate exactly when a sound is moving from the center, to the left, to the left surround speaker, for example. Everything feels a bit pushed back from my head, like it’s around me. It’s great for immersive single-player games, though I also found that I had no trouble tracking opponents by sound in competitive first-person games like Overwatch. Above: Official product shot of the battery, dolby and power indicators, which are on the front of the dock. Good battery life. The dock makes it easy to charge my A50 between uses, but even with multi-hour gaming sessions, I’ve never had the battery drop below two out of four bars. Astro claims the A50 will last 15 hours, which feels about right to me. Of course, these days my first-gen A50 only lasts three or four hours, so these things will doubtless hold less and less of a charge over time. But when they’re new, the A50 should last long enough for anyone who doesn’t play games 20 hours at a time. Behold, the accelerometer. The A50 has a built-in accelerometer that detects when it’s been placed on its side. If you put it down to go grab a snack of take a leak, it’ll quickly power down to save battery. It’s actually a really cool feature that, paired with the dock and the battery indicator, means I’m far less likely to run out of juice at a crucial moment. You can finally switch between console and PC. I’m guessing I’m not alone in that I play a lot of games on both console and PC. In my case, I do most of my console gaming on a PS4. In the past, I’ve had to set up all manner of extra cables and external switches to use my PC and console with the same optical-input headset. The new A50 lets me get USB surround from my PC and optical surround from my PS4 without needing to change cables or use an external switch. I’ve run into some odd issues when using both input methods at once (more on that in a sec), but it’s nice to have a headset that works simultaneously with my two primary gaming systems. I often found my head getting sore after playing for more than an hour, usually at the top of my skull where the headband would press down. It was a bummer, and often made me want to avoid using the headset in favor of something more comfortable. Astro included a set of swappable alternate earcups and an alternate headband pad, but I couldn’t get any of the options I had to comfortably support longer play sessions. Happily, I was able to fix this issue by... well, by removing the padding on the headband entirely. Not only did this low-tech modification remove almost all discomfort on the top of my head, it also gave me just a bit more room to adjust the fit, which let the earcups fit more comfortably over my ears. I’m glad I was able to make things more comfortable, but ideally the A50 would’ve been a half-inch larger in every respect. This will obviously vary depending on each user’s head size. It’s serviceable for online gaming, but if you were hoping to use this headset for purposes outside of video games, you could do better for cheaper. Wireless headsets will always be at a disadvantage when it comes to mic quality, but considering the A50's price and Astro’s gaming pedigree, I was hoping for better. Shared PC/console audio can be finicky. It’s not quite as easy to flip between PS4 and PC game audio as the switch on the side of the dock suggests. I’ve got my base station hooked up to my PC via USB and my PS4 via an optical cable, but optical surround audio overrides USB surround. That means that when my PS4 is turned on and outputting audio, I’m unable to get surround audio out of my PC, even with the switch set to “PC.” I have to put the PS4 to sleep (or unplug the optical cable) before playing a PC game with full surround. It’s easy to put the PS4 to sleep and leave a game suspended, so it’s not a huge deal. But it’d be nice if the base station’s PC/Console switch were actually a hard switch between input sources. Wireless range could be an issue for some. I stay pretty close to my base station, but have noticed a reduced range compared with older version of the A50. I have to stay within about 10-15 feet of the base station or I’ll start getting signal degradation and cutout. The A50’s range probably won’t be an issue for the majority of gamers, but for people who might want to walk around the house or sit extremely far back from the base station, it could be a problem. Infrequent but regular audio drops. Every hour or so, the A50 audio momentarily cuts out, regardless of which input source I’m using. Sometimes it appears as though the base station has briefly powered down, like it thinks I’ve taken off the headset despite the fact that I haven’t. It’s an issue I’ve seen reported by others on Astro’s forums, and seems more like a bug than anything else. Hopefully it can be remedied by a firmware update in the future. It usually comes and goes in a second or so—not ruinous, but it can be annoying. It’s plastic, and it will eventually break. Despite its premium price, the A50 is made of plastic, which means that it will eventually break. That’s especially true given the weight of the headset’s built-in electronics. I’ve had two sets of A50s over the last six or so years, and while I loved both of them and treated them with great care, they both broke in different ways. One headband snapped, necessitating a jury-rigged fix that never quite brought them back. The other had some sort of internal malfunction with the volume knob three years or so after I got them. Astro’s one-year warranty covers faulty parts but not accidents, and after a year, you’re on your own. Drop this headset on a hardwood floor and you’re probably screwed. Astro headsets have held a place in my gaming rigs for years now, fending off many a challenger. The new A50 manages to improve on an already good thing in several ways—it’s easier to use, easier to charge, and supports both console and PC. Its does have its share of shortcomings, which stand out given its $300 price tag. However, some of my complaints could theoretically be addressed via firmware updates, so there’s reason to hope they could be ironed out over time. If you’re looking to upgrade your game audio situation and have cash to spare, this is a solid option.